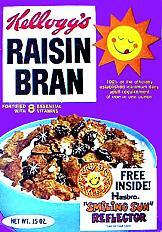 CEREAL PREMIUMS BIG BUSINESS…REMEMBER THE YUKON LAND RUSH? Remember the Big Inch Land Co.? Well think about it, because chances are you do. The deed to one square inch of gold rush country was a cereal box premium — perhaps the most imaginative ever presented, in a business that runs to pretty wild imagination –of the Quaker Oats Co. in Chicago. Breakfast munching fans of Sgt. Preston of the Yukon, the company-sponsored radio show, could spoon up their Puffed Rice while savoring a full mouthful of enjoyment over the knowledge they were now landholders in the territory trod by the brave sergeant and his trusty mutt, King. To the attentive eye, the little puffies floating in the milk had the look of heavy ice breaking up on the Yukon River. Mush, you huskies! The premium gimmick is a big business. 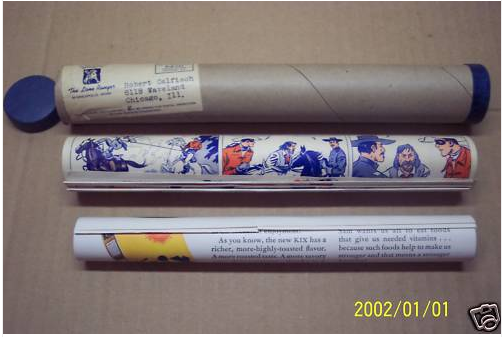 Maybe you thought it all went out of fashion shortly after you sent in 10 cents and a box top and got your secret Captain Midnight glow-in-the-dark, decoder ring, with the hidden compartment. Don’t you believe it! Though the premium game ebbs and flows with the tide of corporate marketing attitudes it always comes back, because it works. A good premium, cereal executives say, will move the boxes off the shelves and into bowls faster than any other promotion. Some express private doubts the customer will stay with the brand after the promotion ends, however. Still, if the competition does it you have to do it too. And so we all have become familiar with any number of plastic boats, hand puppets, coloring books, fit-together cut-outs and cartoon strips on the back of the box, a kind of premium in itself. General Mills seems to hold to more proven attention-getters for premiums, like dolls (always popular), model cars and trucks and model planes. It’s house brand leader, Cheerios, was perhaps the company’s biggest winner with a choice mail-in offer of a Johnny Lightning car or a Dawn Doll recently. It may not seem like much to the big folks but the kids literally eat it up. Some premiums are mail-ins and some are in-pack. The in-pack ones, are of course, free with the purchase of the cereal. The mail-ins can be either box tops with money, just box tops, or rarely, just money. Cereal executives all say that premiums are designed to be self liquidating. By that they mean that the cost of the premium to the consumer should just equal the cost to the company of buying and distributing it. There is no attempt to make a profit on premiums. The business is to sell cereal, not toys. Not all premiums are toys. All the cereal companies have offered pots and pans, silverware, dishes, towels and other homebody-type goods for the adult market. Premiums of this type were more frequent in the early years of this century, when all this premium stuff pretty much got under way. The Kellogg Co., which has the brand leader of them all, Corn Flakes, still devotes considerable attention to adult premiums. Kelloggs offers such mail-in inducements as rose bushes and seed packets along with in-pack items like spools of thread, button packages and, a few years ago, nylon stockings. 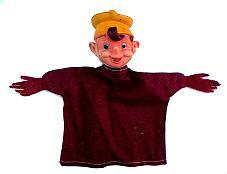 Snap, Crackle and Pop hand puppets, with Kellogg’s Rice Krispies brand, were popular for years. 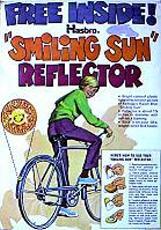 More recently, trading cards have been used with several Kellogg brands. Made to order for cartophiliacs and other arctic Magellans, full sets are now sold for $25 to $50. It’s not done much now, but many premiums used to be tied in with radio shows. Kellogg’s first boxtop offer was in the ’30s when they mailed out sheet music from the Kellogg Singing Lady, Irene Wicker. Along with “golden oldies,’ Kellogg also sponsored Superman. The company went into premiums back in 1914, with merchants handing out Funny Jungle Land Picture Books over the counter with each purchase. General Mills had several radio shows, of which one, the Lone Ranger, will probably live forever. The company’s Wheaties brand still brings unbidden memories of Jack Armstrong, the All-American Boy. A couple of box tops and some loose change would get you Jack Armstrong’s pedometer, with which you could log the miles you walked each day. Quaker Oats started offering premiums around the turn of the century. The first one, a fortune-telling calendar, in 14 colors, could be had in 1901 for a Quaker Oats label and five cents in stamps. In the 1920’s, the company offered a premium which overshadowed even the Yukon land deal in popularity. By mailing in a box top and a couple of quarters, the customer got parts and instruction for converting the round Quaker Oats box into a crystal radio set that really worked. The demand went on for years. Some premiums are selected by the marketing and advertising men, but there is an increasing trend in the cereal industry for premiums culled from the myriads presented each year by manufacturers. Toymakers and novelty companies bring in plastic gimcracks and other novelties by the dozens. Not unnaturally, some premiums have become collectors items. Cereal companies are continually pestered with requests for long-discontinued or defunct premiums, especially those having a tie-in with radio shows. Few of these requests are rewarded since, in most instances, the companies no longer have the premiums. Some collectors resort to sob-stories in their requests. A parent, for instance, will claim that a sick child wants just one thing; a wife will write that her husband is completely distraught about a single gap in his collection. Back in 1955, the company received a letter from a man who had assembled 10,800 deeds. Having built this monument to triviality through a research and negotiation effort whose immensity can scarcely be grasped, the man wanted to know if the parcels were contiguous and when he could take possession. The Big Inch Land Co. idea was born of Bruce Baker, a marketing man no longer with Quaker Oats, who was told the company wanted some kind of premium to tie in with their Sgt. Preston of the Yukon show, one that would cost no more than 3 cents a package to buy and distribute. Baker had the company buy, sight unseen, a 19.11-acre plot along the Yukon River, 12 miles north of Dawson City, for $10,000. After it had been worked out that 21 million one-inch parcels could be cut from the land, the company decided someone ought to go up there and look at it, talk to the territorial assessor and maybe take some pictures to prove the land was there. 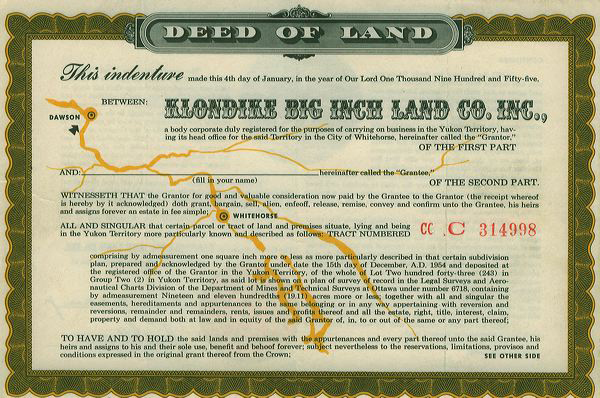 A half dozen Quaker Oats executives made the trip, spending the first few days in Dawson City trying to convince an extremely skeptical territorial assessor he should issue 21 million valid deeds. Every deed had to have a legal easement so those behind the first row of inches could get to their territory without a range war. When it came time to visit the property, the men learned there was no road and the only access was by boat up the Yukon. The Royal Canadian Mounted Police offered to guide them. They were taken up river in a small skiff operated by the largest Mountie in the world, a strong, silent type who was a great fan of Sgt. 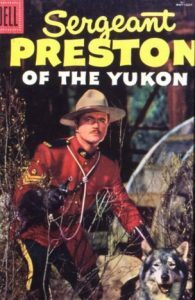 Preston of the Yukon. 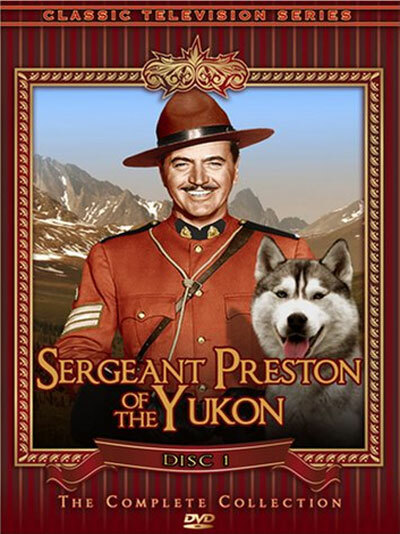 The mountie had a huskie named –you guessed it–King. They went up river, and down, in November, with the ice just forming. Everybody but the Mountie was dressed in Brooks Brothers Executive Obligatory and none, except he, had brought an overcoat. Their supplies dwindled down to one candy bar. The boat was swamped in the rapids twice. “Say, how long do you think a man would last in this water?” one of the executives asked the Mountie. “You, about 32 seconds. Me, eight minutes,” was the reply. The camera mechanism froze in the cold. They shared the candy bar. It took six hours to get back to Dawson City. On the way back from Dawson City, their car broke down and they waited until nightfall before another vehicle came along. It was the last oil truck coming down the road for that year and it picked them up and took them to Whitehorse, 300 miles away. From there they made it back from Chicago as if they’d been shot from guns. LEAPING LIZARDS! WHO LET THE DRAGON OUT?